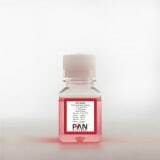 We offer the reagents of PAN Biotech GmbH for cell culture applications. The products are carefully selected, based on the needs and requirements of our customers from research, clinics and biopharmaceutical industry. Production takes place exclusively in PAN Biotech GnbH own cleanroom facilities in Germany, certified ISO 9001 and ISO 13485. 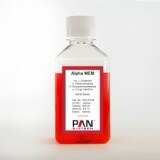 For dissociation of tissue and cell monolayer cultures. Accutase® is the gentle replacement for Trypsin in all adherent cell cultures and especially when working with sensitive cell types. Accutase® is a non-mammalian, non-bacterial ready-to-use solution.